The game is really nice but has been very difficult to get something good on the game and latelly i had experienced a lot of problems regarding the new updates. On thu we lost almost 10000 trophies, saturday i did not get the extra victory trophies.. Really upset with the game :-(. I was usually so excited. 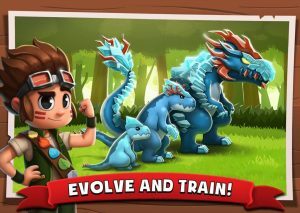 The game is awesome… But there are 2 things that irritate me… #1- It takes forever to load each fight… #2- The fact it charges you stones to feed your monsters the monsters that you have already caught… Why?? ?